May is FLYING by, isn’t it? This week I shared my tips on visiting one of Ireland’s greatest cultural treasures, the Book of Kells. I also wrote about a recipe that changed my life. Okay, fine. I exaggerate, but only slightly. If you don’t follow me on Instagram, I’ve posted some gems recently! It’s ever-changing, but always present – here’s this week’s Happy List! I’m sure the pictures are out there, but I haven’t seen grey penny tile taking over the universe. Maybe it should? 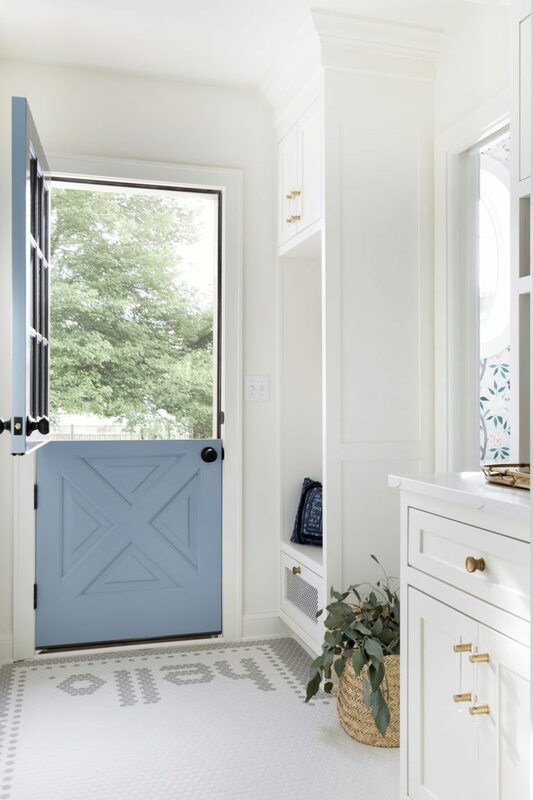 This tile and that door aren’t even the best part of this house by Bria Hammel Interiors! Be sure and check out the kitchen. Potluck food is not my favorite to eat make. Not all foods travel well. Not all foods should sit out for an extended period of time. This recipe for Pane Bianco with Basil, Sun-Dried Tomatoes and Sausage does travel well and can sit out, but it will be eaten quickly! I know because I made it last weekend. I first posted this recipe on the blog it seems like yesterday 3 years ago! Plus, it looks like a showstopper and tastes like pizza bread. If you don’t want to deal with rising dough, I think you could probably hack this recipe with store-bought dough. This color combo is delightful and earthy. Don’t you think? It would go great with the dirt my kids track into the house. Also, mudrooms look a million times better without actual stuff in them. Have you ever noticed that? 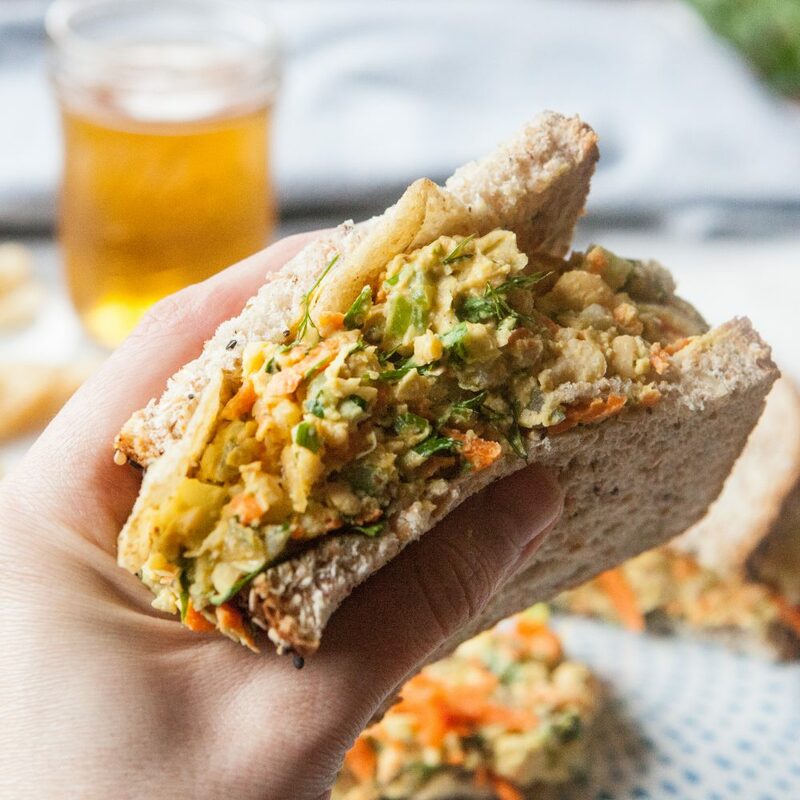 Totally want to try this Smashed Chickpea Salad recipe by A Sweet Spoonful. 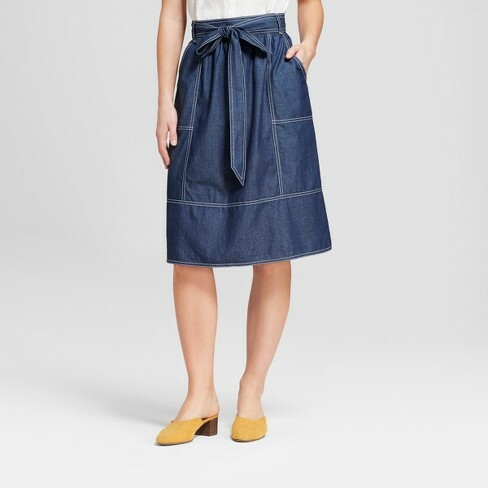 I just got this skirt from Target for $22.99 and have received so many compliments. I’m going to recommend you size WAY down though. I’m 5′ 9″ and typically a size 8. In this particular skirt, I needed a size SMALL. So, of course, I had to buy it. Well played, Target. Well played. Warning. Do not attempt this stair treatment unless you are a perfectionist’s perfectionist. Now I finally have an answer to one of the million random questions my kids ask me each hour day. 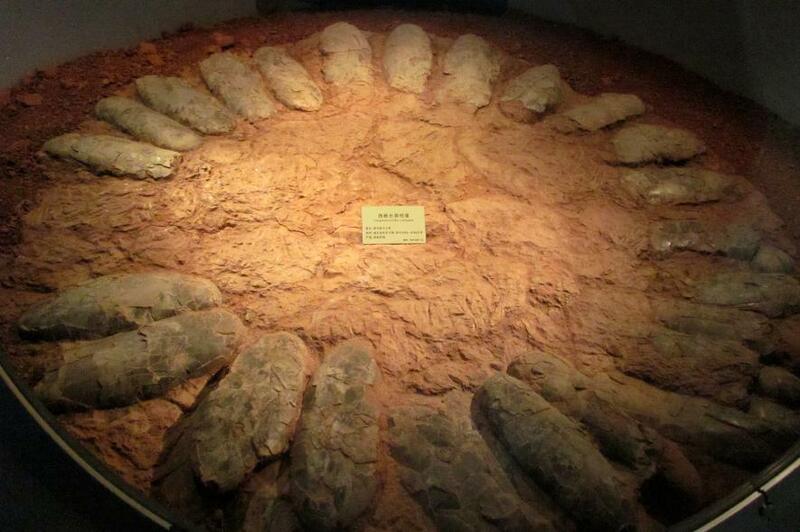 How did a big ol’ dinosaur not crush its eggs when it sat on a nest? This article in National Geographic answers the question, but scientists still don’t know why dinosaurs needed to sit on the eggs. To keep them warm? To protect them? We may never know. 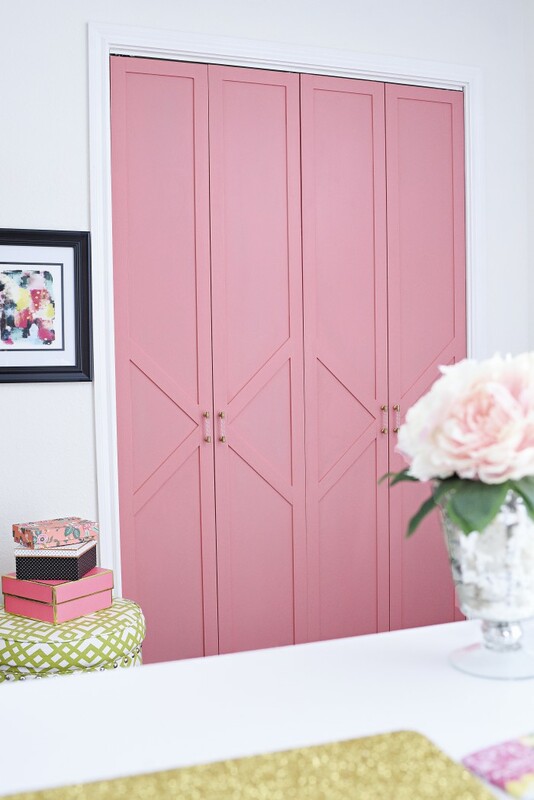 Even if the color isn’t your jam, you have to love how dressed up these bi-fold closet doors are! Pretty fantastic, right? I believe Monica from Monica Wants It customized the doors herself. We have a fun, full weekend ahead of us. I’ll tell you ALL about it on Monday.